The pancake tortoise has an unusually thin, flat, flexible shell. While the shell bones of most other tortoises are solid, the pancake tortoise has shell bones with many openings, making it lighter and more agile than other tortoises. The carapace(top shell) is brown, frequently with a variable pattern of radiating dark lines on each scute(shell plate), helping to camouflage the tortoise in its natural dry habitat. The plastron (bottom shell) is pale yellow with dark brown seams and light yellow rays, and the head, limbs and tail are yellow-brown. An adult pair of pancake tortoises can be housed in an enclosure approximately 0.6 meters wide by 1 meter long and 0.45 meter high (2 x 3 x 1.5 feet). I built my enclosure out of melamine. I recommend smaller enclosures for babies and juveniles. A Rubbermaid bin about 0.3 meters wide by 0.6 meters long and 0.15 meters high (1 x 2 x 0.5 feet) works well for them. Just be sure they can’t climb atop each other and escape because pancake tortoises are good climbers. In my experience pancake tortoises prefer to bury under their substrate instead of using a hide box. I use course coco coir or cypress mulch as substrate. It holds humidity well and is easy for them to hide under. I provide a layer about 0.15 meters (6 inches) deep. I recommend mercury vapour bulbs for all species of tortoise. 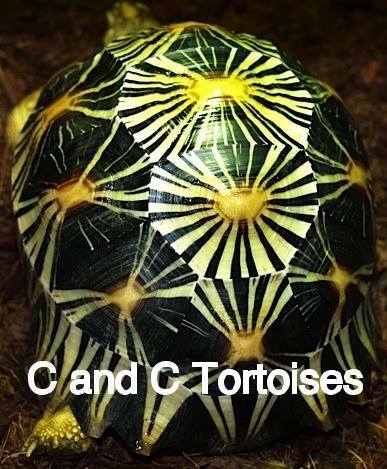 They emit uvb and heat which are both important to keep your tortoise healthy. The hot spot under the bulb is approximately 38 ºC (100 ºF) and the cooler end of the enclosure is roughly 29 ºC (85 ºF). The bulb is left on 12 hours a day. Keeping all species of tortoises well hydrated is very important to their overall health. I provide fresh water every day in a dish about a foot in diameter and an inch deep. Occasionally the tortoises will soak themselves in the dish. They are also placed in Rubbermaid bins a couple times a week with warm shallow water. They will drink at this time and will usually poop shorty after. This helps to keep their enclosure cleaner too. I strongly believe humidity is important to prevent pyramiding of the shell, especially in babies and juveniles. I mist the substrate every morning and allow it to dry throughout the day. The humidity in the enclosure is usually between 60-75%. Pancake tortoises like to bury into the substrate and often sleep under it. My tortoises are fed every day. Their diet mainly consists of dark leafy greens such as dandelions, kale, collards, endive, arugula, hibiscus leaves and flowers, cactus pads and grasses. They also get yams, pumpkin, squash and zucchini as treats once or twice a week. I also supplement with calcium containing vitamin D3 twice a week. Pancake tortoises are a fairly outgoing species that don’t seem to mind human interaction. My pair never try to hide in their shells when they are picked up. However, children should be supervised when handling any species of tortoise to ensure they do not accidentally drop them. Pancake tortoises have an almost leathery type of shell unlike other species of tortoise and can be injured easily if dropped. I spot clean all my tortoise enclosures daily and remove any soiled substrate. I do complete substrate changes every 3 months. 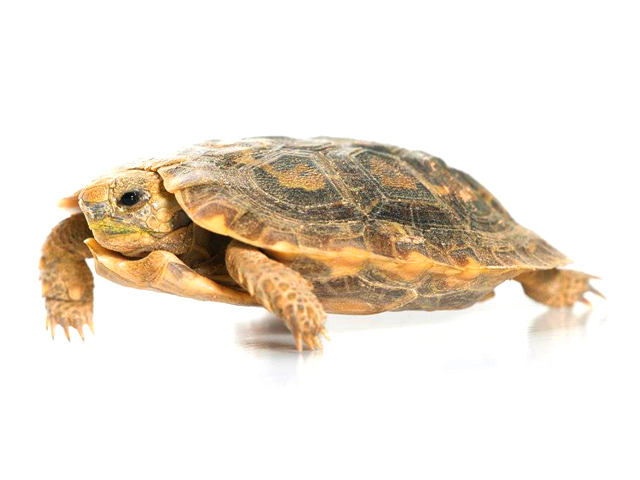 Pancake tortoises are prone to getting worms and other internal parasites. This can be avoided if their enclosures are kept clean and proper husbandry is provided to help reduce stress. Most often the tortoises will fight off any worms or parasites on their own if cared for properly. If you suspect your tortoise has a heavy infestation, a vet can prescribe medication to eliminate them.